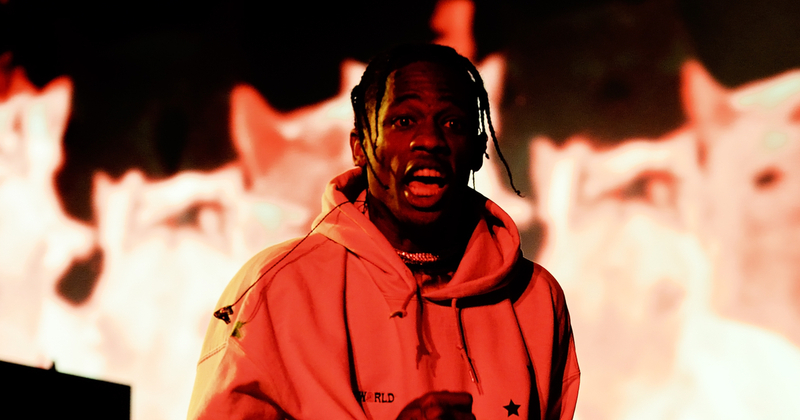 Travis Scott took the NFL’s halftime-show problem and used it to extort them into giving to charity. Rapper Travis Scott has thumbed his nose at a growing number of black performers who have advised him to cancel his performance at the Super Bowl to show support for anti-American protester and former NFL player Colin Kaepernick. Instead, Scott is pointing to his agreement with the league that he says will bring a large donation to social justice issues. Rapper Travis Scott says the NFL has made a commitment to him to spend even more money on social justice causes as part of his deal to appear. The Sicko Mode rapper says that he only signed on to appear with main stage stars Maroon 5 after the NFL agreed to donate a thus far undisclosed amount to an equally undisclosed organization advocating for social justice, according to Billboard. Scott is now confirmed for an appearance during Super Bowl LIII to be held Sunday, Feb. 3, at Atlanta’s Mercedes-Benz Stadium despite the mounting pressure from a number of black performers who have been working to get Travis to cancel his appearance. A growing list of black performers has reportedly refused to join the Super Bowl half time show because of what they feel is the shoddy treatment the league has perpetrated against former NFL quarterback Colin Kaepernick. The former San Francisco 49ers player has gone unsigned by any team since the end of the 2016 season during which he created the national anthem protest. Artists including Rihanna, Jay-Z, Cardi B, and Meek Mill, have all spoken out against the NFL and in support of Kaepernick. Some reports maintain that Rappers Jay-Z and Meek Mill personally contacted Scott to warn him against performing at this year’s Super Bowl. Pop superstar Rihanna also jumped in to attack the NFL over its treatment of Kaepernick and has reportedly put her foot down against any Super Bowl appearances to show support for Kaepernick. Rapper Cardi B has repeatedly slammed the NFL saying she will not support the NFL because of its treatment of Kaepernick.